Has it been hard for you to learn contact juggling? Struggling to learn contact juggling is, unfortunately, normal. Compared to many of the flow arts, those initial moves take a lot of determination to achieve. Right now, contact juggling, is poorly taught. We need to review our pedagogy. Also, in North America, we are far away from each other and that makes it more difficult to be motivated. That’s why we strive to put new and improved lessons on youtube, and trying to help the community grow from an informed place. I think we can build an army of great contact jugglers and push this field forward! 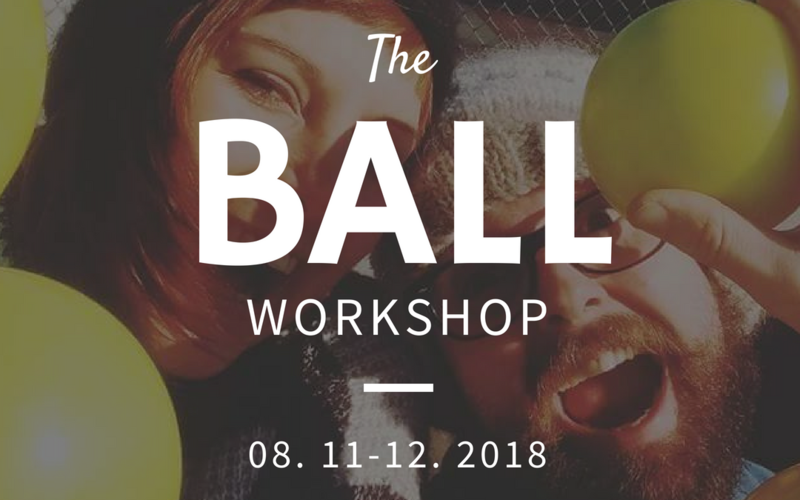 Thom and I started a new website called ballcontact.org – a project that is dedicated to learning and growing as contact jugglers. We all used to use contactjuggling.org, but when Facebook came along, it took over our community. Still, it’s important to make lessons simple, easy to achieve and really change the philosophy that juggling stands on. We are here to change the way we learn contact juggling, and we want to bring everyone to one place, because we learn better together. 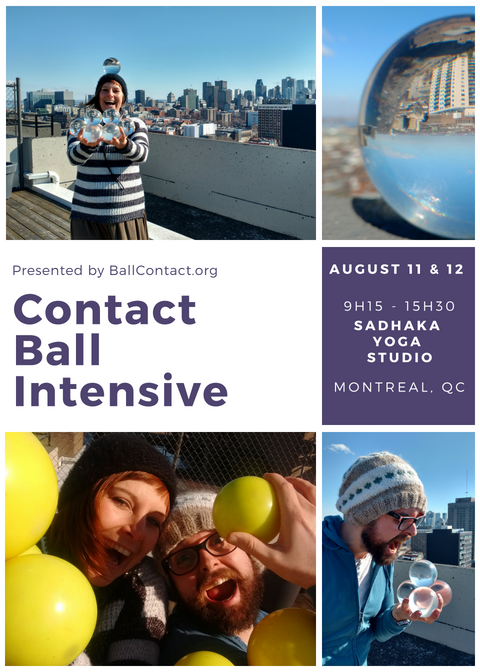 Join us in Montreal for our first 2 days intensive contact juggling workshop! Contact juggling is lonely on your own. Come and meet friends & learn this art together! We will help you integrate movement of the body with props movement. We will take a deeper look at your use of body rolling, butterflies, and your body’s balance. This workshop will change your view of ball contact ! 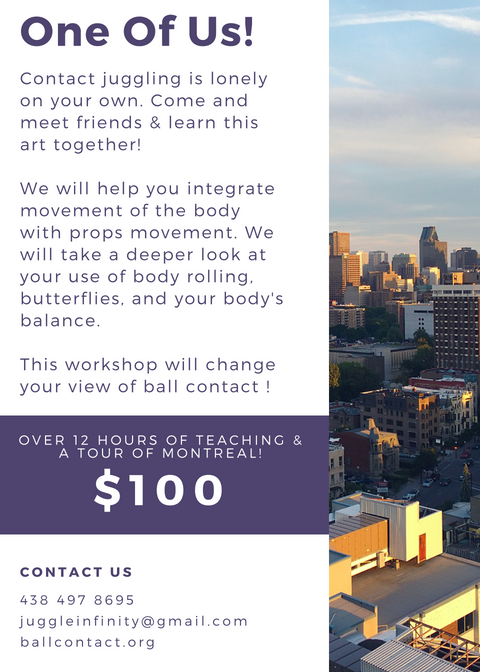 OVER 12 HOURS OF TEACHING & A TOUR OF MONTREAL! Email me to confirm your attendance now! If you can’t make it to our workshop – contact us and maybe we can come to your city! Otherwise, you can always check out the newest tutorials on our youtube channel.